The EPA owns the ENERGY STAR brand which is mandated for use by government in the USA, Japan, Australia, New Zealand, Canada, Switzerland and the European Union, but not in communist China where the bulk of ENERGY STAR’s products are produced. EPA claims their ‘certified’ brand of energy efficiency saves $23 billion annually for partners, yet can’t even convince their communist cronies to mandate the use of their cutting-edge products. It’s almost like the commies know that EPA’s claims are complete BS! Trillion dollar markets are at stake! Repealing the ENERGY STAR mandate should be the highest priority for every American concerned about widespread government corruption and seeking honest, accountable government. 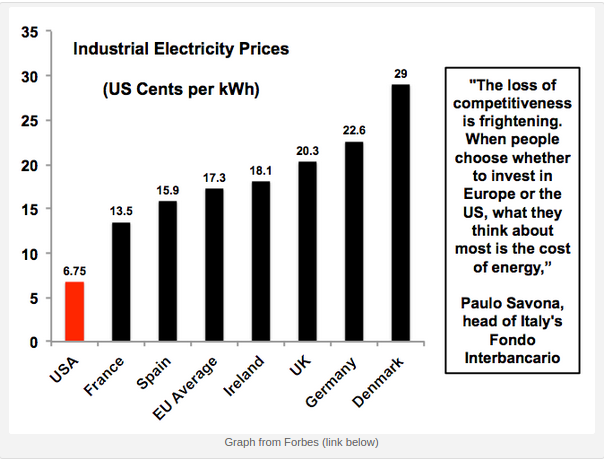 There is no Nation Standard in the US for the measurement and verification of electrical energy-savings in technologies, leaving Americans in dark about what exactly are large multi-national corporations and foreign governments buying from our EPA? If foreign governments are purchasing ENERGY STAR products from EPA, shouldn’t American citizens know the terms of those contracts? Don’t we own the EPA? Why wouldn’t the initial investment costs and rate of return on those multi-billion dollar investments in ENERGY STAR be of interest to citizens in the US and foreign countries? Do foreign citizens get to know what’s in those contracts? Our mainstream media Fake News outlets love to talk about the threats posed by Global Warming, but never discuss the failures of Cap & Trade policies and their pathetic carbon trading markets which are in total collapse. Just this week former GOP leaders proposed a carbon tax starting at $40 per ton, despite the fact California’s last carbon credit auction with a minimum bid price of $12.73 per ton failed to move even one third of the credits available. Are these so-called conservative leaders really so clueless? ENERGY STAR is arguably the most corrupt scientific research program since the Tuskegee Syphilis Experiment conducted on unsuspecting citizens from 1932 to 1972. There was no moral or ethical justification for those sick experiments back then, and the “for the greater good of science” excuse should not be accepted today. Taxpayers have spent around $100 billion on scientific research and producing technical reports for EPA, yet the vast majority of Americans have no idea that ENERGY STAR brand has become a State Owned Enterprise like Freddie Mac & Fannie Mae. Just as crooked bankers made bad loans to unqualified buyers based on corrupt political policies, ENERGY STAR will lead us into another bubble from bogus science produced by phony environmentalist. And everyone will act surprised. 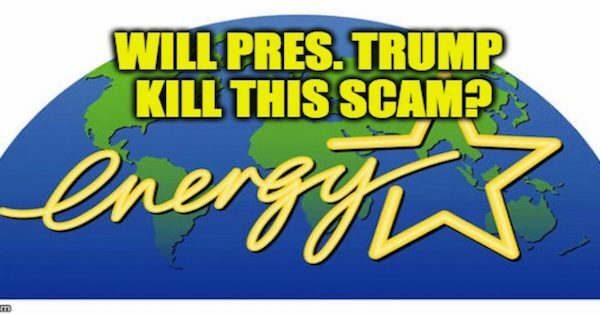 Media has maintained a decades long news blackout on EPA’s ENERGY STAR to suppress public debate on this failed program, and protect the financial interest of the multi-millionaires and billionaire members of the EPA Billionaires Club. A group described in a Senate Report released in 2014, then promptly buried by the mainstream media. Back in 2009, EPA’s non-profit partners began claiming that ENERGY STAR certified products produced 25-50% energy-savings over identical products, turning ENERGY STAR into a multi-billion dollar commodity controlled exclusively by government bureaucrats. Not a single news outlet reported on EPA’s claim, including the lawyers, economist and business leaders shilling for leading conservative think tanks and their blog sites. Even more comical, all of the highly paid lawyers apparently developed amnesia on the subject of ‘energy efficiency’ when Obama presented his Clean Power Plan, pretending they didn’t notice the entire 4th Building Block concerning ‘energy efficiency’ had suddenly disappeared. The single largest financial component of a plan crafted on four Building Blocks went missing from CPP, and nobody noticed. Really? I’m sure it had nothing to do with the fact that EPA in a ‘No Bid’ process, had selected its own ENERGY STAR brand as the sole source for GHG emission reductions. Then just prior to public presentation pulled a Bait and Switch routine, replacing the 4thBlock with the Clean Energy Incentive Program a document containing vague references to investments in energy efficiency. Move along, nothing to see here! Clock Boy has more credibility than the non-profit organizations that conducted the so-called scientific research on behalf of EPA’s Public/Private Partnerships. The bulk of technical reports produced for government alliances are completely worthless in terms of scientific integrity, having value only to the government-created non-profits and the bus-loads of lawyers defending EPA’s phony science. The ENERGY STAR mandate is the single greatest impediment to any true economic recovery for America’s business community. Repealing the corrupt ENERGY STAR mandate would lead to the largest economic expansion for America’s business community in history, by removing the Pay To Play toll booth financing the political establishment. I’m not just talking about restoring the Small Business set aside programs, but opening up every facet of government contracting to honest competition. This Buy America policy would not only lower cost to taxpayers, but as an added bonus would drive crooked non-profits completely out of the business sector forever. Its time to end the environmental non-profit Gravy Train once and for all. Political affiliation should never be a factor for doing business with our government or society in general. Repealing the ENERGY STAR mandate isn’t just some conservative fantasy, it’s absolutely essential for providing equal justice under the law for America’s business community. We can’t compete against China’s Green Industry Platform or the UN’s Global Social Compliance Programme under this corrupt scenario, especially when those business-driven NGO’s are receiving billions of US taxpayer dollars from our EPA to ensure their success. Our manufacturers are saddled with EPA’s draconian laws designed to deliberately undermine our industrial sector, while university professors are getting rich producing Junk Science for China and UNIDO. None of these foreign competitors would last five minutes in an honest marketplace without the barriers erected by our government to American enterprise, and your elected representatives all know this for a fact. Our electrical grid system is the envy of world, and must be protected from those that would undermine our Republic. We can no longer ignore the threats to this national treasure supplying the life-blood to our industrial and manufacturing sectors. Electricity conforms to Ohms Law, not Rules For Radicals. Its time for us step up and defend our greatest national resource, innovation! If Americans want the Trump Administration to repeal Dodd-Frank, re-establish Glass-Steagall and craft a Uniform Code of Laws that could pass Congressional approval, then we must demand the repeal of the ENERGY STAR mandate. America can no longer live with two sets of law, one for the elites and one for US.